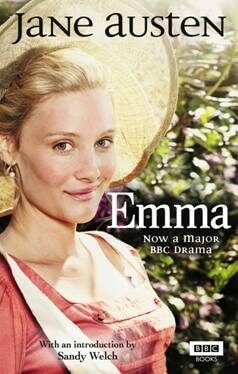 I am not generally the type of guy that reads ‘girl’ books – that would include such titles as Emma, by Jane Austen. I have had, however, quite a few recommendations to read some Jane Austen (and a few were even by guys), so I decided to pick up Emma. Now, I’m mostly glad I did. Read on to see my full thoughts about the book. Emma is a well-written book, I grant Austen that. The beginning is definitely slow, but I was determined to give this book a chance. The plot gradually picks up, becoming more involved and complex as it goes along. As a fiction writer myself, I found particular interest in the author’s dialog. The dialog throughout the entire story reads clearly and naturally (as naturally as can be assumed in an older book) and flows well. I was also impressed by the nice character arc which Emma shows. The beginning of the book introduces us to Emma, a vain, moderately wealthy, and confident young woman who lives in a small town: Highbury, England. She cares for her father, who is a worried but friendly old man, and plans matches for her friends and acquaintances. She meets Harriet Smith, and promptly begins planning matches for her. When these end in disaster, Emma begins to realize that her matchmaking has caused more grief than she had imagined, and perhaps she was not such a nice person as she had imagined. And despite her vow to never marry, the book ends with Emma’s marriage, but to a very unexpected person. Reading this book was a gradual process; it took me a few months while I was reading others at the same time. Such a gradual time frame really allowed me to sink into the characters (although I will admit, by the end I was reading much quicker because I wanted to know the ending). Jane Austen’s Emma is a good, solid read, and I would recommend downloading an e-book version or buying a cheap paperback version. Now I need to decide whether or not to read Pride and Prejudice or another of her books. Article first published as Book Review: Emma by Jane Austen on Blogcritics. I wouldn’t read Sense and Sensibility,but Pride and Predujice is good. Pride and Prejudice is definitely worth reading! So glad you took the time to step out of the box and read Emma, it is on of my all time favorite writings,next to Civil Disobedience by Henry David Thoreau! Well, having nearly read all of Jane Austen’s novels, so far my favorites are Persuasion and Pride and Prejudice. Emma is a good one, though, because I love the progression of Emma’s character, how she realizes the wrong she has done and makes ammends. Northanger Abbey is also good; it’s short too. I wouldn’t really recommend Mansfield Park before any of the others, though it has its good parts. Honestly, I still can’t get over cousins falling in love (maybe I just think about my own cousins! yikes!). Isn’t it sad that Austen’s novels are considered “girl” books? I think it would do guys some good to read about what real romance should be! 🙂 Austen’s books are far above any of today’s romance novels, that’s for sure. My mom read this one a while ago, and she though she loves Austen, she admitted this was one of her slower reads. Good, but slow. I think I’ll have to give this one (along with Pride and Prejudice)a chance over the summer, when I have PLENTY of time to relax and read by the pool and beach! I really enjoyed reading Persuasion especially as I didn’t know much about the story before hand where as everyone knows Pride and Prejudice so it wasn’t so much as a surprise. Great review! I actually enjoyed Sense and Sensibility more than Pride and Prejudice.